Wheezal's Laboratories are amongst the best in quality and having far and wide repute in the country and comparable to any in the world. Installation of highly sophisticated equipment, like UV spectrophotometer, TLC (Thin Layer Chromatography), HPTLC (High-performance Thin Layer chromatography) testing or cross vetting done through internationally reputed nodal agency. Infrared moisture analyzer, hydraulic press, G.L.C. (Gas Liquid Chromatography), polarimeter, friability tester machine, Hardness tester machine for testing the authenticity of herbs and other inputs, rigorous process control and the right assurance of highest standards of quality of finished products, Wheezal excels its competitors in the pharmaceutical industry. 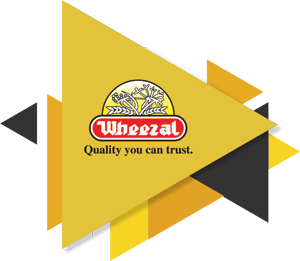 To start with, Wheezal factory is located in natural, pollution & contamination free environment of Dehradun hills. To add to that, the entire manufacturing area is air conditioned with controlled humidity. The air is further purified by using HEPA (High Efficiency Particulate Air Filter) filters.